I don’t really like reading manuals or following recipes. I prefer to stick my hands in the mud and get dirty without having to follow a cookbook. 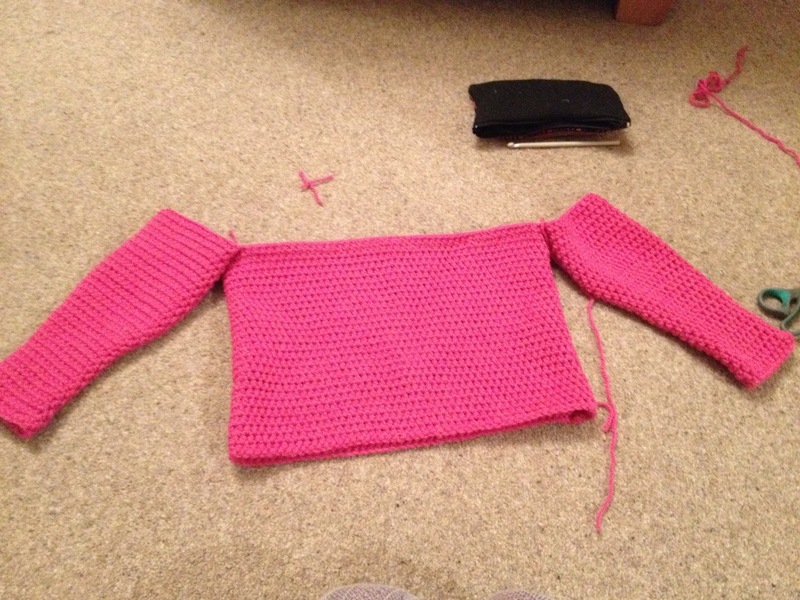 One of the nice things about crochet is you can make a jumper in rounds and measure it on the body as you go. I recently completed a jumper for Elizabeth and I thought I’d photograph the process for anyone interested. It’s very easy to do once you know how. Now you need to make the sleeves. Do the same thing as you did for the body: crochet a chain and join it up to make a circle that fits around the wrist. Continue in rounds for the length of the arm. You’ll need to increase the width of the tube for the sleeves as it nears the elbow. 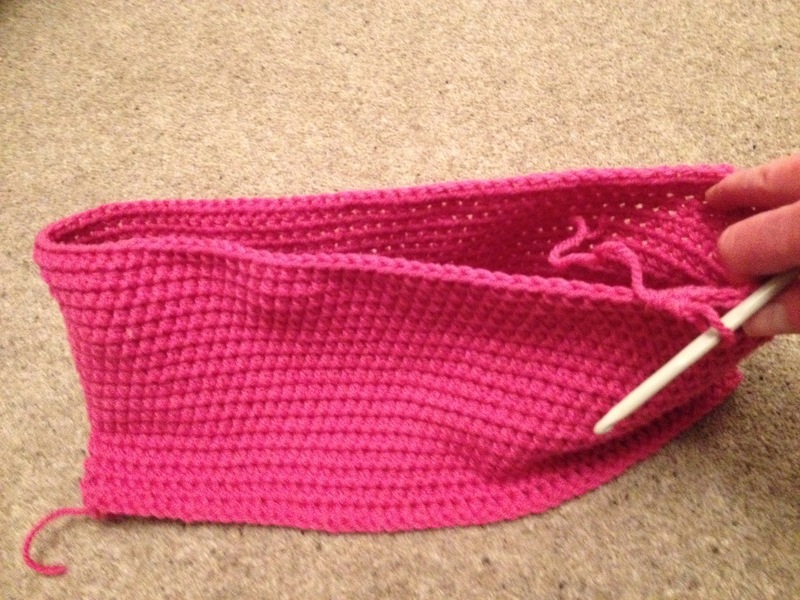 To do this, crochet two stitches into the one in the row below a couple of times for that round and do this every two rounds or so until it fits. Measure it on the subject as you go and remember to record when the increases were made so that you can copy it for the second sleeve. Continue in one huge round incorporating the body and two sleeves and start decreasing the round by stitching two stitches together, four times in one row, every second row or so. Add in some colours or patterns at this point if you want them. 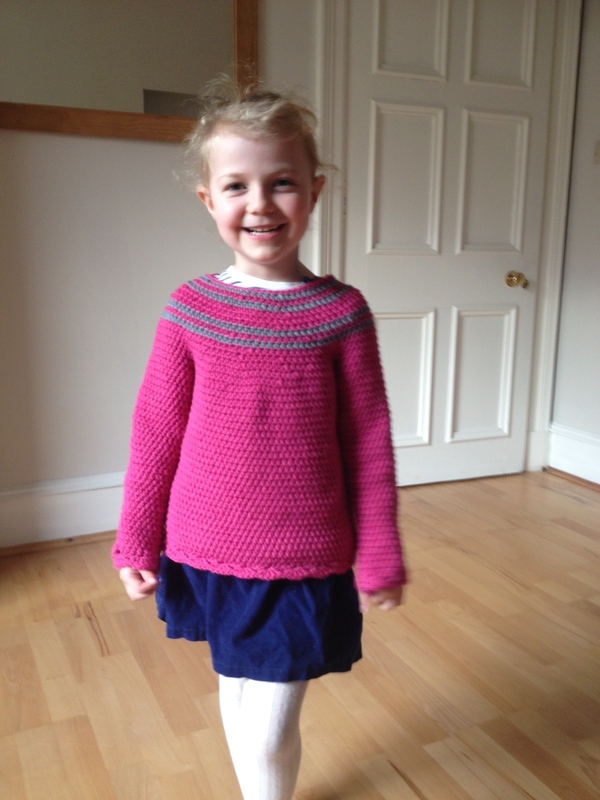 Posted in Crochet and tagged crochet, handmade, jumper, wool. Bookmark the permalink. Second thoughts. I’d do better with “How to Wear Jumper Without a Pattern” or “How to Take Off a Jumper Without a Headache”. :-D.
Oh how clever! I crochet but I tend to stick to straight things such as scarves and blankets. Maybe I’ll try to be adventurous and dabble in rounds. You made it look very easy! Thanks! Our house is really nice. It’s just a rental but I love it. Thank you and thank you! It’s just a hobby of mine to crochet but I really enjoy it and that’s the main thing. Hobbies bring the best out if people, as it’s done without pressure and outside expectations. But one needs talent. My mother tried to teach me, to no avail! Thanks, Chait. I’m glad you like it. I’ve been wanting to try this theme out for ages. Thanks, Sherri. I make stuff from patterns too but I enjoy making it up as I go along more than following a pattern. I hadn’t noticed the leg placement. So true. She likes having her photo taken. I’m pretty sure it was a 5mm hook. Oh my god that little girl is so cute!!! The first picture of her made me smile a lot ^_^ also this was super helpful in making my sweater so thank you so much!! 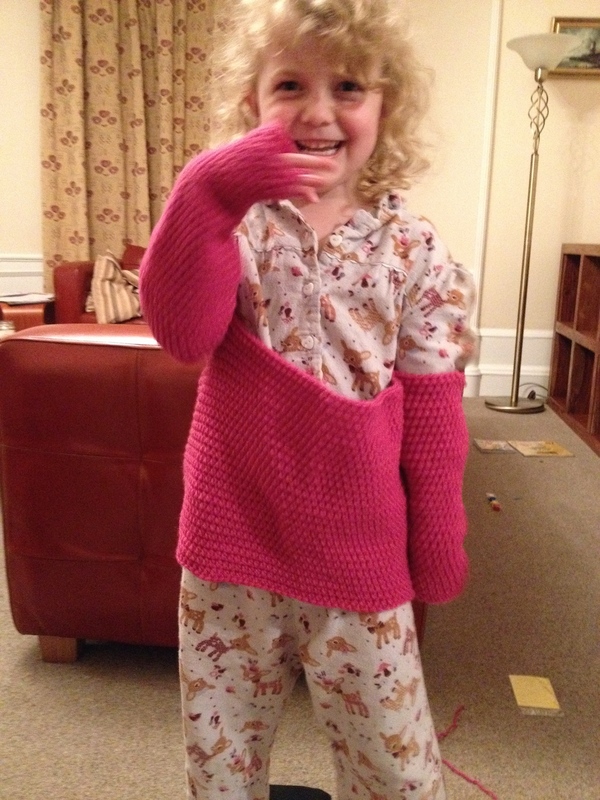 Hi Rachel, Thank you for this post, I’ve been looking all over the internet for an easy way to make my first crochet jumper! And this is perfect and looks very straightforward! What kind of stitch did you use? It looks lovely! 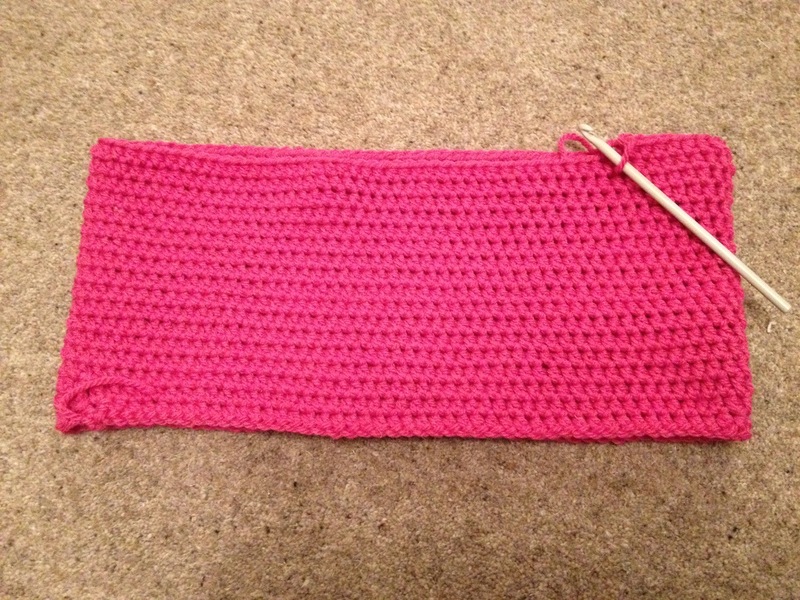 I can’t remember now but I think it’s single crochet. Thank you so much. I have wasted so much time this evening googling “seamless” “in the round” blah blah blah, and had rubbish results. I want to make a dress, but if I follow your instructions, I can always just join on at the bottom when sleeves and bodice are made and make it the length I want. Fabulous. In response to previous post, you worked in what I would call double crochet, single crochet in American crochet terms.